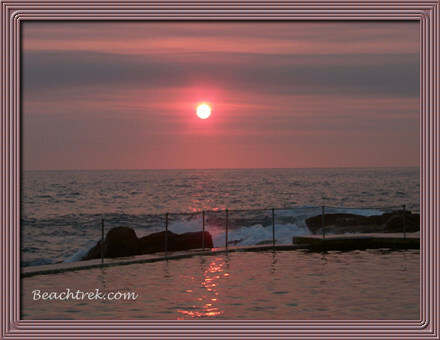 10 minutes before sunrise and the smoke from the terrible bushfires to the south is clearly visible as a greyish haze along the horizon. 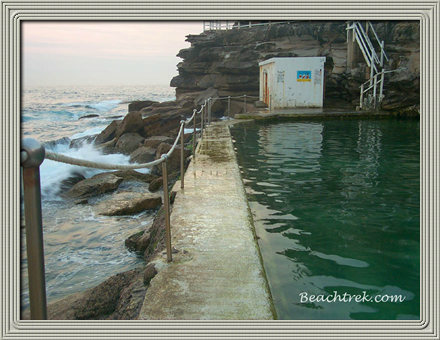 Bronte pool is popular with the morning swimmers. 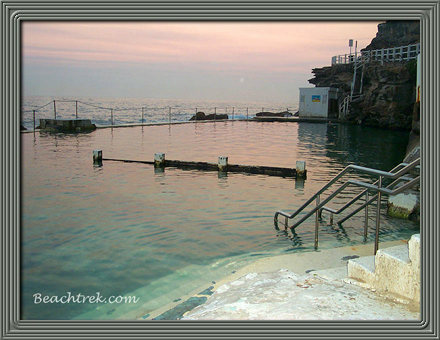 It wasn't long after sunrise that the pool was in use. The sun rises blood red through the smoke. 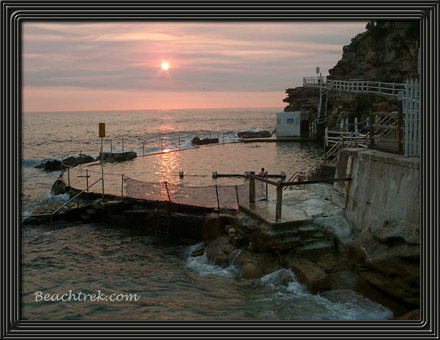 Bronte beach is quiet at 6:15 am, but this will not last. 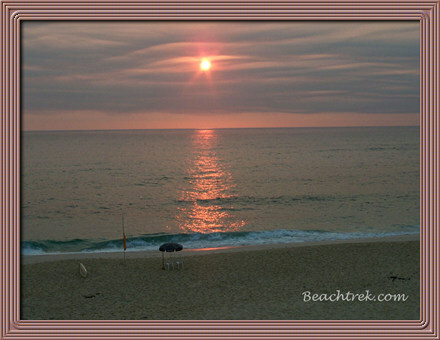 The surf was flatish this morning, but picked up a bit a few hours later. I surfed the small wave that breaks off the side of the pools, unfortunately banging up my knee on the shallow submerged rocks.